Just how much bigger is Micah than Isaiah was as a baby? Let's use this T-shirt as an illustration. 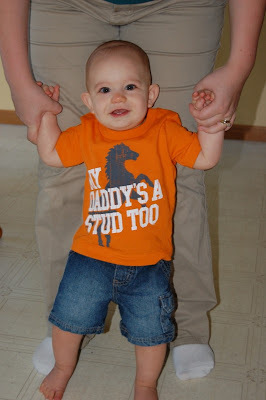 Here is Micah wearing that exact same T-shirt....at the age of 4 months. 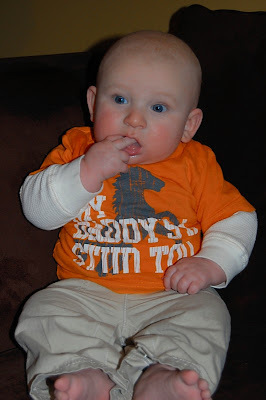 Pampers Points & Snapfish Steals! Never thought I'd say that! How can I thank him enough?